and then my Catholic Reading list for high school. Catholic high school reading list. Elementary and grade school too. Many of these books could also be read during the school year, but these particular books are less "text-bookie", or more interesting in and of themselves. They are not merely books for information during the school year. All of these books are generally edifying and many are also very interesting for adult Catholics or converts, especially the high school reading list. 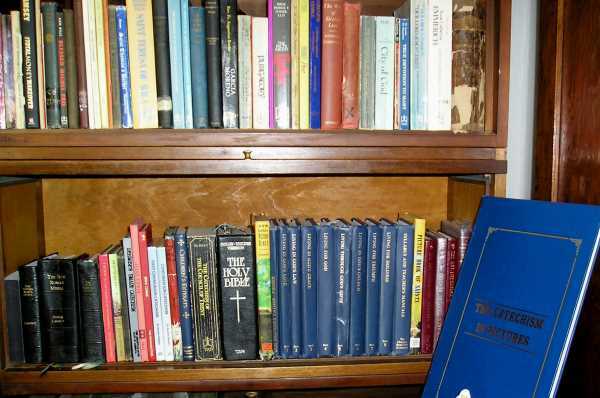 Some of these are also rare Catholic books. A Catholic elementary summer reading list will get gobbled up by an avid reader! Depending on how reading ready your students are, they can read the middle school and high school summer reading lists, too. The trouble is that there are so few specifically children's Catholic books that are not tainted with bad attitudes, scandalous stories, and other items that you do not want duplicated in your child's behavior - even as recommended by Catholic elementary schools. One of my children said so nicely, "I think that a lot of people don't think that they might have a child imitating the bad things portrayed in the book." The answer? It is exciting to see that there are many Catholic book publishing companies that are republishing good books and new authors are writing good books even if they have to self publish. If you have books to add, please Contact Us and send their titles for the rest of us! We ourselves have an avid reader or two who starve for good reading. 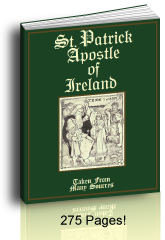 Most of the better books we have found are from lists recommended in traditional Catholic catalogs, Catholic home school curriculum lists, Refuge of Sinners Publishing, Neumann Press, Tan Books. 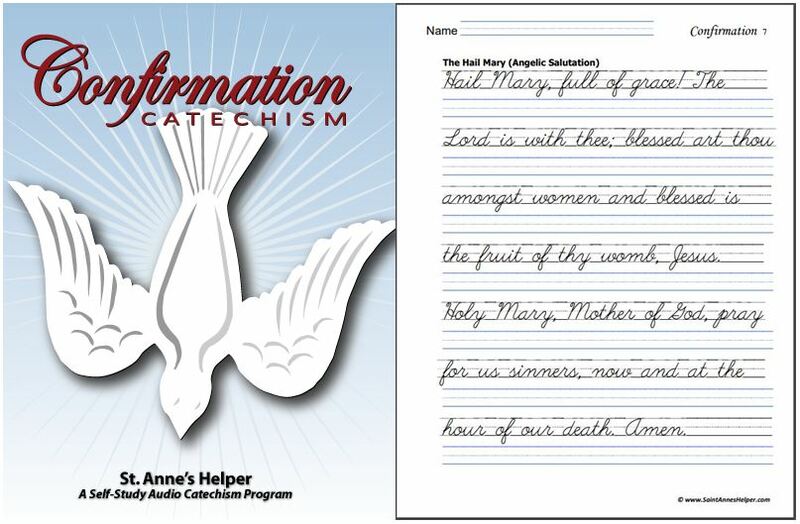 Just an idea: One dear friend had had her children write one book report every month of the summer break and pre-read/memorize the catechism for the coming year! She's a super organized Mom with great ideas whose children always did well in school. Maybe these suggestions will be helpful to you someday, too, whether your students are "in school" or "homeschooling". Do you have a reluctant reader? One suggestion is to have a reluctant reader re-read his favorite book from the previous year just for fun. This is a great idea for middle school children, too. Another suggestion is to have that child pre-read a book that will be used during the next school year so as to reduce the load during the year. We know the joy of helping several reluctant readers succeed, so we're eager to share the good ideas that we learn! Read to your little ones. There is so much good advice about reading to your little ones that I am sure that pre-reading the books on our elementary summer reading list is a good idea for your elementary readers who could use a little more courage or help. Little Therese, Pere Carbonel, S.J. A Catholic middle school summer reading list is easier to make and can be used for the high school summer reading list if your students need "mind candy", a relief from the rigors of school. There are so many more subjects that a middle school student can understand, that definitive lives of the saints are good additions to the list of books for Catholic kids. There are more Roman Catholic books at this level that are not mere text book readers with their many adaptations and re-writes. 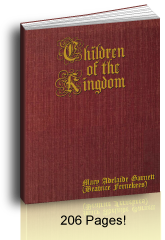 Still, as many old children's books as exist, there are few that were written specifically for Catholic children. Expand your middle school summer reading list with selections from Refuge of Sinners, Tan Books, and Neumann Press. Outlaws Of Ravenhurst, Sister M. Imelda Wallace, S.L. A Catholic high school summer reading list can be hard to find simply because those who sell authentically Catholic books either do not specify that their books are Catholic or they do not see that many parents and students specifically search for high school summer reading programs. Our St. Anne's Helper recommendations will speed a summer through slow times and preserve and inspire your students' Catholic Faith as he enters the college or career world. 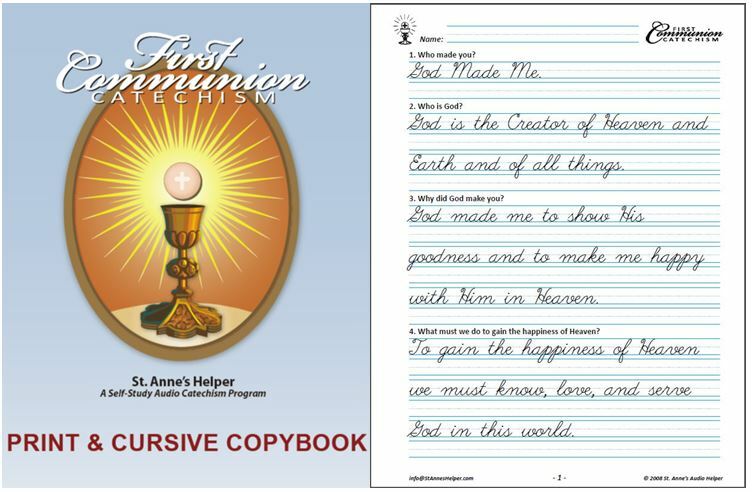 Another consideration: If your students are not in a good Catholic school or are not using a Catholic home school curriculum, you might want to look at our Catholic book recommendations and our Catholic home school book lists to see what your children need to read before they leave your care! We heartily recommend that you offer many books that teach how to know, love, and serve God in this world so as to be happy with Him in Heaven. Our children need to have confidence (which means "with faith" in Latin) in the Catholic Faith before they leave the security of home and school. The real question is, "Which books are good Catholic books to put on a high school summer reading list?" How do you know if a book is "Catholic" or not? Some are easy to eliminate: those which start with how many millions of years old the earth is (see the excellent time line in the back of the Douay-Rheims Bible), those which repeatedly mention the evolution of species or ideas, and especially those that expound upon progress and revolution in ideas as opposed to the ideas set forth by God in His Ten Commandments or in His Church's precepts. Many a recommended high school summer reading list will put forward as "classics" those books that progressivists call classics, those books that are written by Masons, Communists, and Modernists or by sympathizers with those errors; many Catholic book lists have even recommended these authors and some old Catholic books use their theories. In this case, the teacher must use the principles put forward in Pope Pius XI's Encyclical: On the Christian Education of Youth; Divini Illius Magistri as to how to teach what can be "good" in the works of these authors. Another excellent idea is to read deliberate dumbing down of america (dddoa) by Charlotte Iserbyt to get an idea of what change agents have done in the education world. I am so grateful to have read these two books. There is great benefit to be had for reading books by secular authors. Other than that, when one is looking for specifically Catholic books, one must start with authentically Catholic books that are recommended by the Church's priests and teachers and compare to the truths that are taught in the Catholic Catechism or the Catholic Bible. If a book has been recommended by the Church for centuries you can have certitude. Also, if a book condemns the same errors that the Church condemns, you can have more surety; but not always, since there are many authors that condemn Communism but clamor for Modernist tenets, etc. agreeing with the Church in one doctrine while fighting her in another. New Catholic books offer more trouble since their content has not passed the test of time. If books pass the test of the Ten Commandments and Church doctrine they can be good additions to a high school summer reading list. Truly, though, be certain that your student is able to discern these aspects or you must scope the books on any high school summer reading list yourself. We as parents have the duty to our children to spare them the false philosophies and bizarre psychologies that abound today and to teach them why they are false so they can recognize and fight them in life. You and your children will live happier lives if you make careful choices in your high school summer reading list before they head for college. We heartily recommend the following books. If you find anything against the Catholic Faith in this high school summer reading list, please Contact Us. Please include the URL address in your browser window. Gabriel Garcia Moreno, President of Equador, Rev. Fr. Augustine Berthe Read this to understand American History! Where We Got the Bible, Rt. Rev. Henry G. Graham With a sometimes hilarious perspective! To Quell the Terror: The Mystery of the Vocation of the Sixteen Carmelites of Compiegne Guillotined July 17, 1794, William Bush Awesome look at the French Revolution! Two Vincentian Martyrs: Blessed Francis Regis Clet, C.M., Blessed John Gabriel Perboyre, C.M. A meticulous story of holy men who really loved the Chinese people. The Priest Who Failed And Other Stories Includes a great story about Father Pro of Mexico. The Bravest of the Virginia Calvary Includes a brave Civil War story. St. Rose Of Lima, Sr. Mary Alphonsus, O.SS.R. Alphonsus Liguori, Fr. D.F. Miller, C.SS.R., Fr. L.X. Aubin, C.SS.R. Martyrs of the Coliseum, Fr. A. J. O'Reilly, D.D. The Incredible Catholic Mass, Fr. Martin von Cochem An awesome explanation of the Mass complete with miracles! AA 1025 The Memoirs of an Anti-Apostle Amazing story of intrigue in the Catholic Church. The Scarlet and the Black, J.P. Gallagher The Story of Monsignor Hugh O'Flaherty or The Scarlet Pimpernel of The Vatican - edited for archaic or British terms, otherwise, verbatim. Cardinal Mindszenty Speaks - Authorized White Book He speaks while in the most dangerous of times! Thank you for visiting our high school summer reading list! If you would like to see a good spiritual reading list read more here. Which book has helped you most? When you share your favorite Roman Catholic book reviews, and give the reasons and even the benefits to you and your family, others have a good chance to see if that same book might become one of their favorite Catholic books, too! Contact me with your suggestions here.